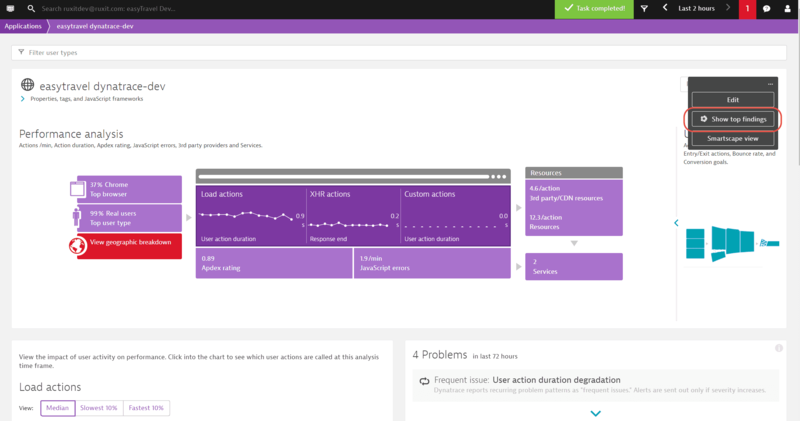 Hyperlyzer enables you to analyze multiple dimensions of the usage of your application. 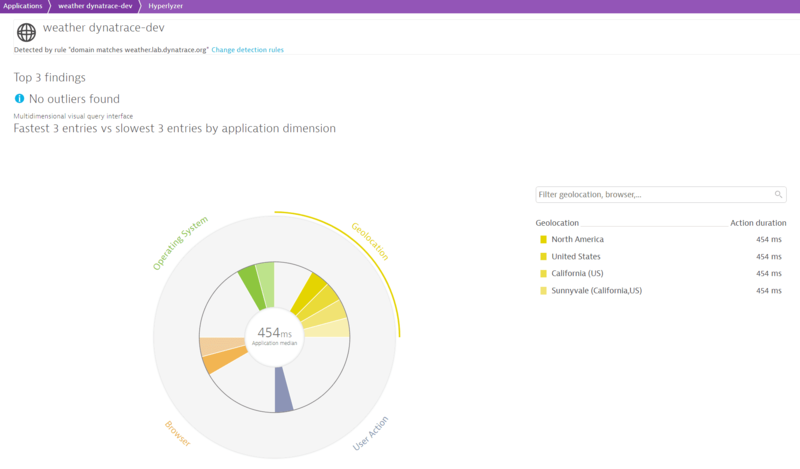 With Hyperlyzer, you can see where your users are located, what browser version they&apos;re using, their operating system, and the number of user actions the application has received. On the application page, click the browse (...) button. Click values visualized in Hyperlyzer to display those findings in tabular format. 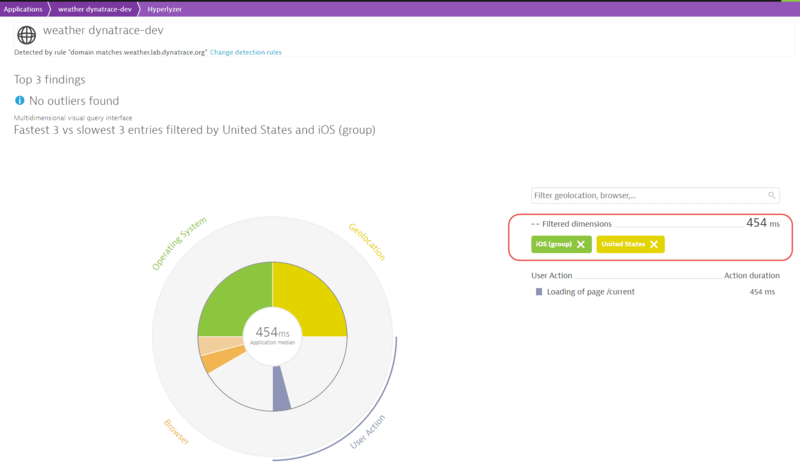 Click the Filter selection button of any specific dimension (for example, OS: iOS and Geolocation: United States) to focus Hyperlyzer analysis on those dimensions. In this way, you can drill down into the monitoring results provided by Hyperlyzer to better understand the usage or your application.